The bicycle's frame can break during use, causing the rider to lose control and suffer injuries. Authorized Trek dealers nationwide from April 2004 through June 2007 for about $300. 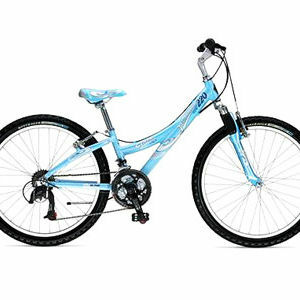 Take the recalled bicycle away from children immediately and return it to a Trek dealer for a free replacement MT220 girl's bicycle or a $100 discount on a different size Trek bicycle. For additional information, consumers can contact Trek at (800) 373-4594 between 8 a.m. and 5:30 p.m. CT Monday through Friday and between 9 a.m. and 5 p.m. CT Saturday, or visit their Web site at www.trekbikes.com.